The Lynn Classical High School Hall of Fame Induction Ceremony is scheduled for Saturday, May 18, 2019 at the Nahant Country Club. The event will begin with a 6 - 7 PM social hour followed by dinner and the induction. Tickets are $45 and may be purchased at Lynn Classical High School (781-477-7404), Christine Pisanelli. Please make checks payable to LCHS Alumni Association. This communication is to welcome both new and established students and families to Lynn Classical for the 2018-2019 school year. I am truly excited to work with you this year as the interim principal. 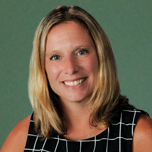 My professionl experience at Lynn Classical includes teaching in the Math and Science Departments, Guidance Counselor and most recently the Assistant Principal for the past nine years. I am also a lifelong Lynn resident and Classical graduate so I take both personal and professional pride in LCHS and will actively support the students, families and staff in having an engaging, safe and productive school year. Our administrative team, teachers and support staff are very committed to meeting the needs of all students. Our team strives to celebrate differences while providing equitable access to education. We hope that your son or daughter has a positive academic and social experience while attending Classical. To achieve this goal we need the support from parents and guardians to reinforce the importance of students’ attendance, doing their personal best and interacting in a respectful manner with everyone. Students will have a variety of assessments including: classwork, homework, tests, quizzes, and other assignments. To be successful students must be committed to completing these assignments on time and to the best of their ability. College acceptances and career pathways are very competitive and academic success starts in the ninth grade. Students who support their academic learning by joining activities such as clubs and sports can build social skills, help to make friends and create a well-rounded high school experience. Attendance is key to your students’ success. Important learning is happening every day at LCHS and when your student is not here they are missing out. For this reason we are partnering with district in their new initiative, “Every Student, Every Day.” Classical has put together a team to increase communication with families regarding attendance and provide support in increasing all students’ attendance. Most students who have failing grades have attendance problems. We ask that you join us in decreasing the number of unexcused absences. We also want to improve on our tardy and dismissal rate. Please do not schedule any appointments which allow students to miss class time unless it is absolutely necessary. Each absence from a class can negatively impact learning. Students who miss class will be asked to make up missed work after school. Many students have after school activities, work or other obligations but we ask that you help your student make school the number one priority. Social emotional well-being is very important for academic success. Our Assistant Principals, Guidance Counselors, Social Worker, Adjustment Counselor, and School Nurses are available to assist students and parents. In addition, Lynn Community Health Center has a school based office available for students. Please let us know if we can be of any help. Finally, I believe that open lines of communication are extremely important to the success of our school. We use the Jupiter transparent grading system for both student and parents to keep you up to date with your students’ attendance and grades. If you have not received your log in information, you should contact the guidance department 781-477-7404. Jupiter messaging is also a great way to communicate with your students’ teachers, guidance counselors and the administration. We will also send home written information as well as use blackboard connect for outreach calling and important information. 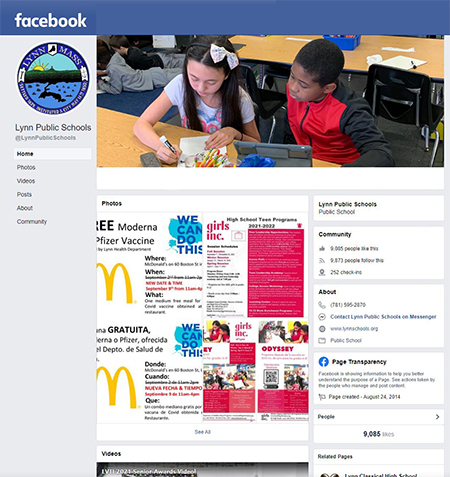 For important dates and upcoming events sign on to our website at www.lynnschools.org/classical and access our School Calendar. I wish you all a happy and successful school year. Please feel free to reach out to me with questions or concerns. I look forward working with you this year. From Route 95/128 - From Rt. 95/128 North take exit 43, Walnut St., bear right at the end of the ramp. Go straight through the lights. A pond will be on your left. Continue on Walnut St. for approximately one-and-a-half miles. At the first set of lights, bear left following Rt. 129 east over Rt. 1. Continue through set of lights along Walnut St. A reservoir will be on your left. Approximately one half mile beyond the reservoir, there will be a set of lights. That is the intersection of Walnut St. and O'Callaghan Way. Make a right and continue to the end of O'Callaghan Way. 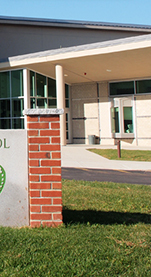 Classical High School is on the right at the intersection of O'Callaghan and Holyoke Street. From Route 1 - Get off at the Walnut Street (East) exit towards Lynn. Continue through set of lights along Walnut St. A reservoir will be on your left. Approximately one half mile beyond the reservoir, there will be a set of lights. That is the intersection of Walnut St. and O'Callaghan Way. Make a right and continue to the end of O'Callaghan Way. 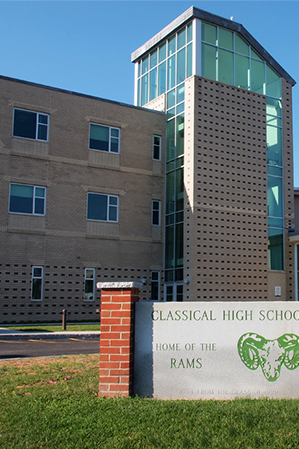 Classical High School is on the right at the intersection of O'Callaghan and Holyoke Street. School Nurse June Blake B.S.N.